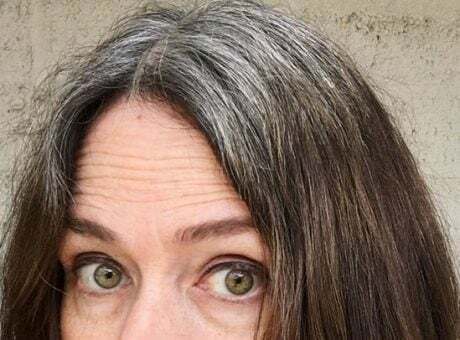 When I first decided to go gray, I was confused about which products were best for my graying hair. 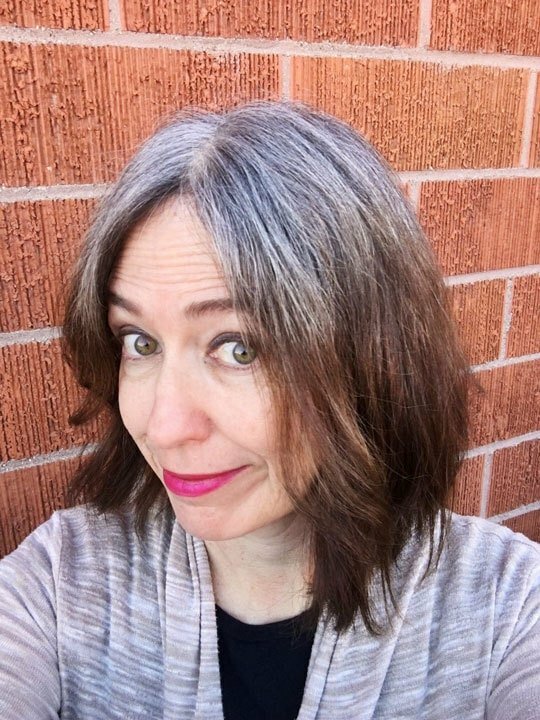 There is a lot of information out there about products for gray or graying hair, but a lot of the articles I found online were written by companies trying to make a sale, and I really prefer to get personal recommendations. 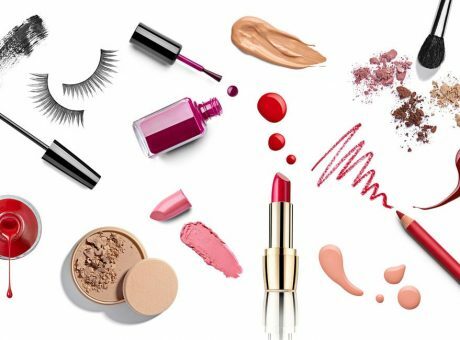 Therefore, I went on a mission to survey my fellow Silver Sisters about which products to use, and I got a lot of responses. Thanks, ladies! Disclaimer: I’m not made of money (I wish!! ), so I haven’t tried all of the products listed below. 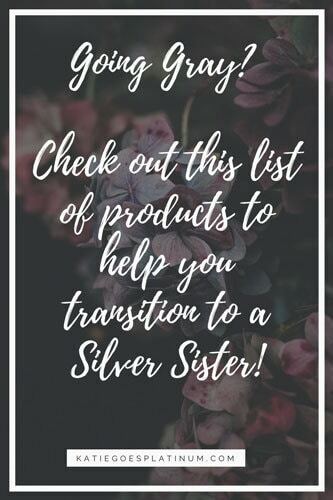 Instead, I tried some of these products myself, and the others were recommended to me by my fellow Silver Sisters in their Silver Hair Transition Stories or via Instagram. Blue Shampoo for Brunettes Definitely Reduces Brassiness! Hello, Have you heard of or reviewed a line of products out of the U.K. called White Hot? They carry an every day formula (if you’re so inclined), and a once weekly violet “luminous” line for silver hair. They ran a special where it was BOGO so I tried them. 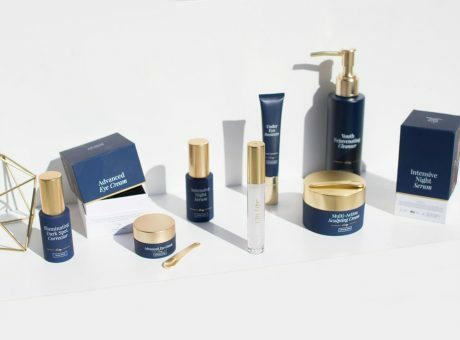 Ordered one from each line, and the product was nice, and smelled wonderful, but prohibitively expensive (shipping charges and all). If you know of them, which products made here are comparable. Thank you for your consideration on this subject. Hi, Vickie – Yes, Louise from the UK recommended White Hot Hair products, if I remember correctly. I think any of the products I have listed above under “To Brighten Silvers” should work the same way. Also, have you tried the BTWCo. products yet? They are all listed above and they are excellent! Lauren, the founder of BTWCo. is a silver sister herself (with gorgeous long gray hair) and she invented them. I love the ones I’ve used and I’ve only heard good things from other silver sisters. You might want to try her purple shampoo and conditioner, and her life-changing leave-in conditioner is amazing! You don’t want to use purple shampoo every day (just once a week or so), so I would get her daily moisturizing shampoo for days in-between. I use it and really like it so far. Hope this helps! Hi Katie. I went natural about two years ago and love it. But I’m always in search of styling products that will provide good hold and a little shine without discoloring my grays. Could you add some styling product recommendations? 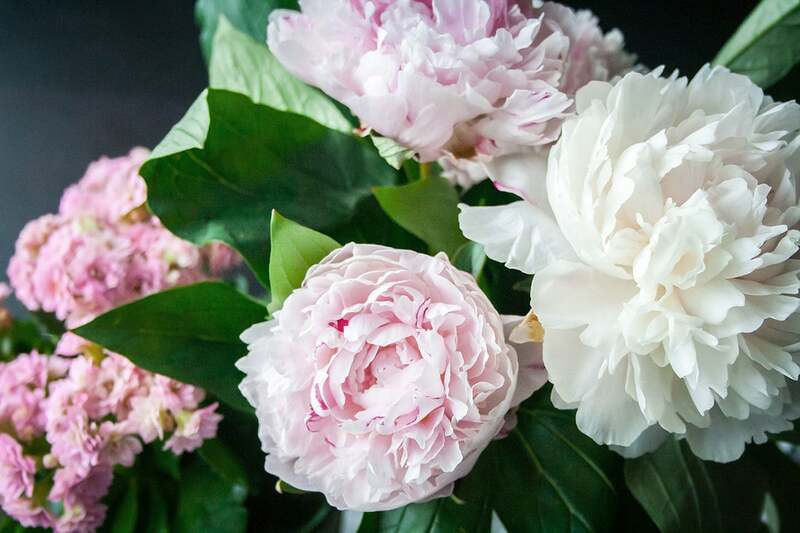 Dear Katie,Thanks for your blog, it is the best!I am just at the very beginning of that journey.I have the exact same “conflict” to overcome that you have: a brunette hair dye growing out very slowly with a strong demarcation line. I was looking in your blog for a weekly manual of how to fade out the dye gently at the beginning of that journey. The demarcation line is sometimes a challenge for me so I want to soften the brunette as much as possible! So far I found:once a week a clarifying shampoo by neutrogena plus the quick silver Kaolin mask. Judith, so glad you like the blog! Oops – forgot to add the clarifying shampoo to this list. It’s on my Resources Page – it’s actually called Neutrogena Anti-Residue shampoo. I love it! I haven’t tried Vitamin C…what is it supposed to do? Some people say that Anti-Dandruff Shampoo Fades the Dye. For me, the Neutrogena has really helped, and I always follow it up with the Joico K-Pak Intense Hydrator to deep condition as the Neutrogena can dry out your hair. Regarding the blorange, check out my posts and videos on Blue Shampoo. I don’t know if that’s a problem for you yet, but faded brunette dye often takes on an orange tone (“blorange”) that gets really brassy. Just search my posts for blue shampoo and you’ll see the experiments I did with it. Re: the QuickSilverHair mask, I use it every so often to brighten up my whites. It’s great!